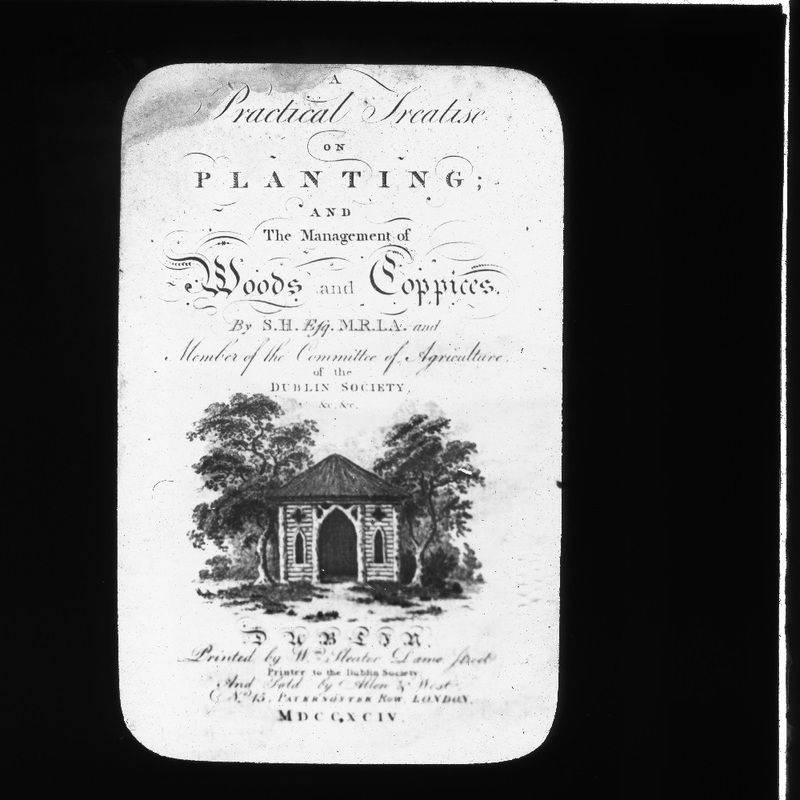 Lantern slide showing the title page from the book Practical Treatise on Planting: and the Management of Woods and Coppices by Samuel Hayes. Originally catalogued with the label 'M2 93' and 'T. Mason, 5, Dame St, Dublin. The book was published in 1794. 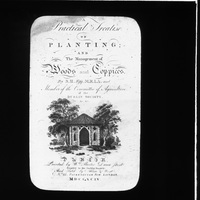 Laura Ryan, “Title page from the book Practical Treatise on Planting: and the Management of Woods and Coppices by Samuel Hayes,” Royal Society of Antiquaries of Ireland, accessed April 23, 2019, http://rsai.locloudhosting.net/items/show/469872.